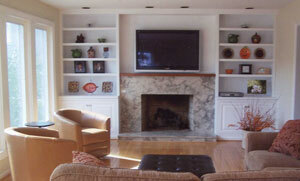 We treat each project as if it we are doing it on our own home (with the highest care and quality). We work hard to give you the best value with high quality results while minimizing any inconveninece to you during your project. Our service includes not only completing your project but maintaining a friendly relationship with two way communication. Some of our clients have even invited us to family events, we consider that one of the highest compliments we can get. Whatever your project, Pete Lawler & Jim Henning hold themselves and everyone else on your project accountable to highest level of service and quality. Tired of sharing a bathroom with too many family members? 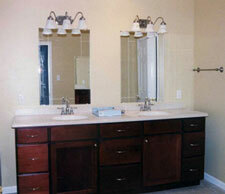 Having trouble with your bathroom plumbing and want to upgrade your comfort and functionality? Don't like the layout of your bathroom or powder rooms? 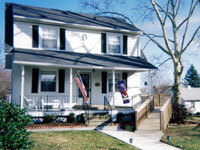 Taking in an elderly parent and need wheelchair accessible bathroom? Whether you want to add a new bathroom to your house or renovate and remodel an existing bathroom, Lawler & Henning will bring our decades of experience to your bathroom project. Do you have an old outdated kitchen you want to renovate or remodel? Not enough storage or workspace in your current kitchen? Want to add an island or open up a wall to create a nicer look and feel along with improved functionality? Custom cabinets to meet all of your storage needs, installation of standard cabinetry and countertops, or even re-constructing or meving the entire kitchen within your house or as a new addition. You name it we can help with your kitchen project, big or small. Personalize the look, feel and flow of your home to your specific needs...you will be amazed at how much better everything in your life will be! Thinking of selling your home and want to make some improvements to increase its value and speed of sale? Want or Need to update the look of a room in your home? Sick and Tired of looking at an eysore in your home that you just can't find the time to get to? Think there might be a way to improve the functionality of your home? Taking in an elderly parent and need to convert a room downstairs? Whether you want to change the way you use existing rooms or improve the look or convenience of your home let us lend our ideas and skills to your project. Whatever the size of your project, Lawler & Henning will bring our caring attitude and decades of experience to help you improve your house. Need more space to accomodate a growing family? Want to add a deck or sunporch to really enjoy all your property has to offer? Don't like the layout and want to add more living space or even another floor? Whether you want to add a deck, a two story addition or anything in between, Lawler & Henning will bring over 15 years of experience to help you expand and build upon your existing home. Want a home that is truly unique and meets all of your wants and needs? From start to finish we work with you to help you build your dream home with all the features and ammenities that you want for your lifestyle. 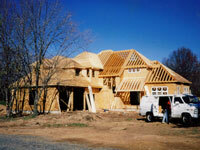 We have a loyal and reliable group of contractors we have worked with for years. They help accomplish large projects with all aspects of construction to ensure the highest level of care and quality for your new home construction project.